My fitness challenge took a blow last week when I came down with flu that was bad enough to keep me in bed for a week! That’s got to be the first time that has happened to me in my life. I suspect it was related to a dust filled environment I exposed myself to the day before the flu started. I got into 2 days of Insanity Max 30 before the flu struck. It’s going to be a challenge getting back into the routine this week. Before the flu, I tried another variation on my salad experiment with 2 ingredients that I had left over at home. I discovered I have a tendency to waste the ingredients because I’m cooking for 1 so I’ve devised a strategy that involves mixing and matching left over ingredients until I run out before purchasing more. It’s worked well so far. 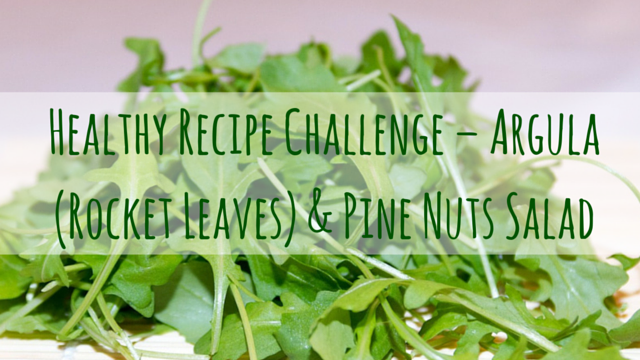 I’ve used argula (rocket leaves) in previous recipes. Argula is full of vitamins C, K & A as well as potassium, manganese, iron and calcium. 100g of argula comes to roughly 25 calories and contains up to 25% folic acid and 90% recommended intake of vitamin K.
I’ve written some articles about pine nuts previously – Why You Should Add Pine Nuts to Your Diet Now and The Secrets Behind Pine Nut Oil for Better Health . 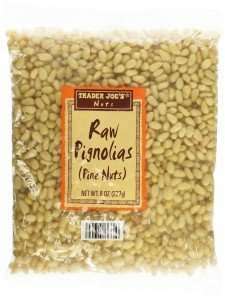 Pine nuts are something you definitely want to include in your diet. They’re so yummy and delicious and make an amazing healthy snack. Anytime I get the munchies during the day, I just grab a handful of pine nuts and some juice and I’m good to go. 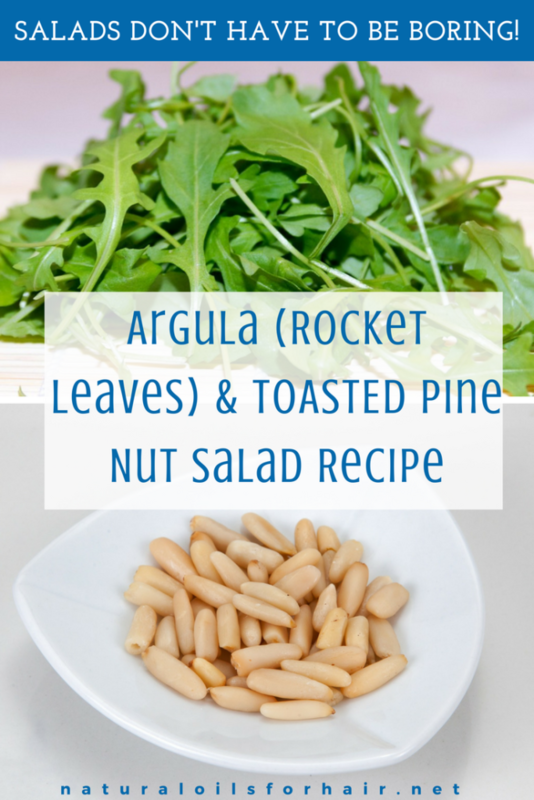 For this recipe, I used 1 pack of argula (rocket leaves) and 2 handfuls of toasted pine nuts. I rinsed the argula several times then ran through a salad spinner twice to get out all the water. 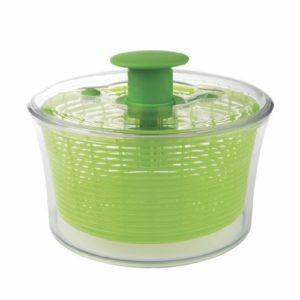 This is my favorite salad spinner. After drying, I tossed in a bowl with the pine nuts and added the dressing. For the dressing, I used olive oil, salt, pepper and balsamic vinegar. The salad worked quite well as a side dish to pan-fried salmon. Some people add blue cheese or feta cheese to a rocket salad but I like to keep it as green as possible because of my picky taste buds.